This entry was posted in Australian Landscapes and tagged australian landscape photography, australian photographer, cott beach, cottesloe beach, cottesloe images, cottesloe sunset, seascape photography, western australian images. Looks good to me Jamie! It’s a bit like me & Mt. Roland. Hope you have a great Xmas and New Year! Hey Tim. Thanks for that mate. I hope you have an amazing Xmas and New Year as well. 2012 is going to be a big year. Thanks Chloe. Cloudporn indeed! I hope you guys have an awesome Christmas and New Year as well. 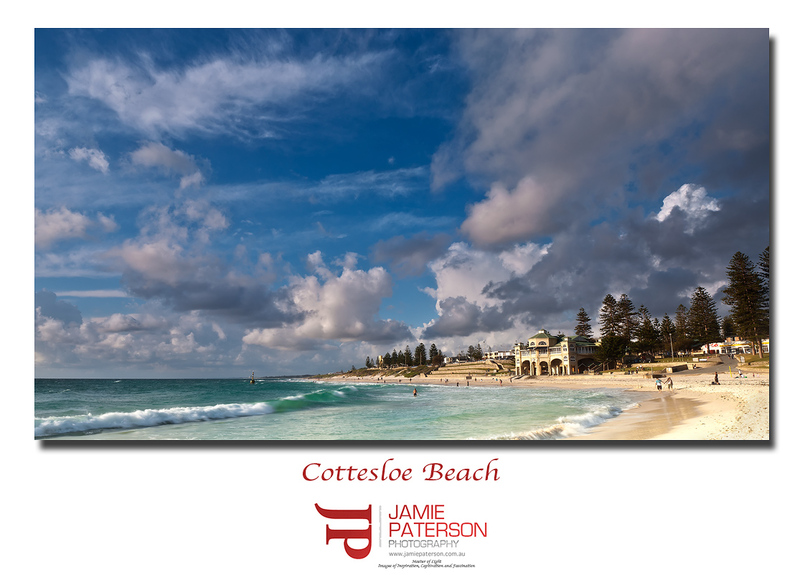 Great shot of Cottesloe Beach and what wonderful clouds! Thanks very much mate. Welcome aboard! Amazing clouds and yep Cottesloe is a great place to photograph. Sunset photo also amazing, the colours are really out there. Great capture.